No, the schedules are being put on the ones that work as well, and likely because customers are complaining. The is trying to make bus service like the subways and it doesn't work. We had a huge argument about this in my last meeting. They think it's ok to focus on how long a customer is waiting versus what the actual schedule says, so that means you can look at the schedule and expect a bus to come and maybe it won't because they can't fill the trip. As long as you get A bus that's what should matter, not that the buses on the schedule aren't coming. I told them absolutely not!! There are some lines that are NOT frequent and thus people go by the schedules. This is really them trying to excuse not sending out scheduled service. Unacceptable. I'd be willing to bet that the same crap is happening with the subways too. I see posts all over social media with people that tape particular trains talking about how such and such train didn't come and they know because they take that train every day. Some trains help to alleviate overcrowding so when you see that you start taking that train. Lol at this "source".....quite a lot of us know who that is. No need to be cryptic about it, it's not even exclusive information anymore. Just say that it'll be in service and be done with it, no need to drag it on. Everyone's covering their asses in case it doesn't happen. Can't be blamed if they were just reporting what someone else told them. Its like CNN with a Buzzfeed article and about just as hilarious. Wow... I'm going to get an answer in my meeting. What likely happens is like the bus shelters, someone handles it but they hire a subcontractor to do the actual work. For example, the DOT is technically responsible for the bus stops, BUT they contract the actual bus shelters out to a vendor who is supposed to clean and maintain them, but then you likely have THAT contractor subcontracting out a part of that work too to some smaller company to do one thing or another like maybe come in and change out the glass panels. Having worked in construction on the insurance end, you'd be surprised how many vendors can be on one job and how many subs hire subs that hire subs, so that before you know, you're dealing with 20+ different vendors. It used to drive me nuts going after those people to get insurance because some of them try to play games and it can also hold up work being done. It becomes almost impossible to follow the trail of people. It's all about cost. It's cheaper to have some other guy do parts of things or maybe the vendor just doesn't specialize in such and such thing. Now the actual bus stops with the lollipops, those the DOT changes out themselves. HOWEVER, the actual schedules at the bus stops are handled by personnel. I've seen people n uniform changing those out at the bus stops. Then you have those SBS countdown clocks (the big ones). Those are federally funded (the lollipop ones and the smaller countdown clocks are not), and I'm not sure who exactly handles the upkeep of those, but I suspect those are contracted out as well. All and all it's a big mess, and that's why it takes so long to get things done when there's a problem. They all play dumb about who is responsible for what. Such stupidity. @7-express Thanks for posting this. I will use this photo in my meeting if you don’t mind. I’d like to understand why taxpayer dollars are being wasted on these countdown clocks that are often times broken, or if they work, cannot snow the times for ALL express buses. More like his posting habits have become more than obvious.... ....but, that works too. Put them on the Franklin . R142/As were not designed for CBTC so a new contract was issued to rebuild them to that spec. R160s were always designed for it so it was just a matter of installing the equipment where its designed to go. I'm going assume that what he meant by that was the R142s will go through an upgrade process to R188 specs, not necessarily them becoming R188s. Um...dosent he work for MTA? I'll keep posting updates here if you guys want. They already released it. I’m waiting on my copies now! I can’t wait to dive into all that info. Inactive. They are technically still open. Yes Orion was. It’s a shame they were only months away from a public launch of the Orion IX and Orion X Artic. Electric was going to be a focus for those platforms. If anyone wants to take a travel back in time to when we didn’t have as many users and I was just coming onboard as a staff member full time, check the link below. This is how I used to post new program information all the time. Now, if I post it seems as if most people ask all the same questions 2 days later lol. Here’s the answer: QM1: 16:00, 3196. 16:30, 3125. 17:00, 2843. 17:30, NO BUS. 18:00, NO BUS. 18:30, NO BUS. 19:00, 3125. I’ve been tracking numerous other lines as well. I have QM24 customers that complain about the same thing. Missing buses or they can’t track them on BusTime, and I know for a fact that there were other missing QM buses last Friday, just doing a quick check of the schedules. Amazing how many buses can’t be tracked or go missing entirely. I’m also including other lines tracked today during the rush hour period. The QM24 may have some ghost buses, but I know that not all of the buses came the other day either, so that’s another line that only runs every 30 minutes where they cannot meet the scheduled service. QM1: 16:00, 3196. 16:30, 3125. 17:00, 2843. 17:30, NO BUS. 18:00, NO BUS. 18:30, NO BUS. 19:00, 3125. BxM2: (NB) 16:05, 3087. 16:25, 3112. 16:45, 3084. 17:00, 3109. 17:15, 3221. 17:30, 3106. 17:45, 3066. 18:00, 3353. 18:15, 3082. 18:30, 3095. 19:00, 3065. 19:30, 3105. BxM2: (SB) 16:00, 3066. 16:30, 3082. 17:00, 3065. 17:30, 3105. 18:00, 3087. 18:30, 3099. 19:00, NO BUS. 19:30, 3221. QM24: 15:00, NO BUS. 16:00, NO BUS. 16:30, 3144. 17:00, 3300. 17:30, 3304. 18:00, 3280. 18:30, NO BUS. 19:00, 3281. QM34: 15:00, 3299. 16:00, 3145. 16:30, 3291. 16:45, 3279. 17:00, 3292. 17:15, 3473. 17:30, 3140. 17:45, 3303. 18:00, 3284. 18:20, 3285. 18:40, 3474. 19:00, 3145. Yesterday I had people bitching on my page about how the 08:00 BxM2 didn’t come. Morning rush and the bus only runs every 30 minutes, and that bus is packed too. They had the 08:30 bus start a little earlier. Just ridiculous. 7686, 7687 to EN 6123, 6125 MQ to FB 7711, 7714, 7715, 7718, 7720, 7721 to FP 7716, 7717, 7722, 7725 to GA 5539, 5549, 5554-5558, 5560, 5561, 5563 to GH 0011 NFI Aniston back to MQ via the service center. Specs are now finalized for the XE60’s. Please excuse double posts if there are any. Please note that hybrids do not have transmissions. What exactly are you hoping for? The assignments are already posted lol. They are going to quill and a couple will test out of “select depots” in all 5 boroughs. It’s mentions in the fleet review. Manufacturers are going to make what the market demands. They all currently offer some type of all-electric buses anyway. Yes NFI is New Flyer which owns MCI, and no this bus is all-Electric. Our current electric buses are duel-mode charging. Meaning they plug-in at the depot or fast charge along a route or with a mobile charger. All available electric vehicles are plug-in. Not many hybrids are plug-in at all. Only a few cars, but no buses. The source @Lawrence St is talking about is correct. The R179 will start service by then. There's always a document on things like this. They're called "bullitens". If your T/O friend is confirming this as fact, it's probably from a bulliten. Which all train Crews are responsible for reading. 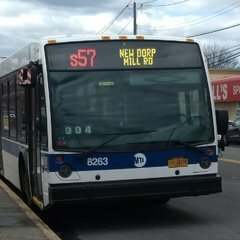 http://gothamist.com/2019/02/06/the_l_still_smells.php So theres been a strong fuel smell in the train tunnels in Williamsburg for days now and I'm supposed to believe that the MTA can properly mitigate silica dust in time for morning rush hour? Please for the love of god, go back to the old plan. Can we PLEASE stop creating useless threads and digging up old ones, it starting to get annoying! You could have easily asked this in 3 pinned threads that already exist!! Alright, bear with me, but this is going to get real crayon-y. BRONX: Swap the and . This Pelham Line cuts from Westchester > 163rd > Westchester. This WPR stays on Southern. Hunts Point Av is a major transfer station on the scale of Jackson Heights. Lexington Av Local - to Wakefield and to Dyre. Lexington Av Express - to Woodlawn and to BPK. Seventh Av Express - to Parkchester and express to PBP. WESTERN QUEENS/NORTH OF MIDTOWN: 60th St tunnel is four tracks. Flushing line is four tracks. They're connected and the entire thing is BMT. 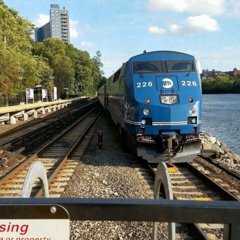 Local tracks take over the Whitestone Branch to Malba. Express tracks terminate at Broadway LIRR. 42nd St Line goes to Astoria. 53rd St is four tracks the entire length. The Sixth Avenue Line becomes the Queens Blvd local tracks. All four tracks head under Broadway, there is no express diversion via Northern. 63rd St does not exist in this timeline. Crosstown line terminates at a lower level of Queens Plaza. Queensboro Plaza and Queens Plaza are one station. DOWNTOWN MANHATTAN/DOWNTOWN BROOKLYN Cranberry St tunnel is four tracks. But not in the way you'd think. Express tracks are 8th Av express and local tracks are Broadway local. There are platforms at Atlantic Barclays to connect with the BMT and IRT. 8th Av local goes over the Broadway Line south of Cortlandt St. After Montague there are two branches: the 4th Avenue local and the Myrtle Avenue elevated. Through service from the Nassau Street Line to Myrtle Av does not exist. The Crosstown Line is an el using Manhattan Av, the BQE, and Bedford Av before joining up with the Franklin Av El, which is still ten cars long. EASTERN BROOKLYN AND QUEENS Instead of the Fulton Avenue Line replacing the Fulton El east of East New York, it replaces the Jamaica El. There are four tracks running from Downtown Brooklyn to Woodhaven Blvd. At this point, the express tracks go down the former Rockaway Beach Branch to the Rockaways. The local tracks proceed to Jamaica via Jamaica Avenue. Downtown Jamaica looks very different. There are four tracks underneath Hillside; the Queens Blvd express runs onto the Hillside Av express. The Fulton/Jamaica local is the Hillside local. The Queens Blvd local runs underneath Jamaica Av and ends at 157/Liberty. The Nassau St line runs over the Broadway el onto the three-tracked remains of the eastern Fulton Avenue El. There is no skip stop, but a <J> express from Lefferts Blvd runs during the peak hours. And that concludes this episode of Wallyhorsin Around. Maybe I'll get bored and do a map of this. Exactly, (on a non-related note) I wish that railfans didn't have to get questioned by the police and T/O's so frequently every time they take photos, I was last week and would've gotten into more trouble if I didn't pull up the MTA rules on a whim. I wasn't really causing any problems to begin with, it's been happening for years as well. I've been down here since last April. I don't recall needing to elaborate during final processing. The firing was 8.5 years prior to that point, and I had another job about three weeks later. Their concern during final processing is more about accounting for any lengthy gaps between jobs. My husband had to explain some when he came on as a conductor once upon a time many moons ago. As long as you can explain what you were doing with yourself you're fine. It's just important that you put it down so when they decide to fully investigate your employment history they can't throw it in your face that you didn't disclose it and then they fire you over something that stupid. The final processing "interview" is not a tell me your life story and sell yourself to us on why you would rock this job traditional interview. They literally make sure that DCAS packet is filled out and they have all the documents they need from you. That's it. And god forbid I get labeled a party pooper again, be prepared for multiple trips down to 180 to pee in a cup and produce the same papers over and over again before you do FINAL processing. They're literally only up to about 500something between off the street hires and converting provisionals to permanent. Your 90 days could elapse and they'll call you...just to come back again for the pre-employment charade. As promised, to round out the original sign curtains found on the 68s, here are the head end route curtains: Used on: R68s As with the destination signs created, this is the last curtain that would contain route options that the trains themselves could not easily access. The only exception to this would be the route curtains on the 44s and 46s, which also contain the Eastern Division routes. However, since these curtains were ordered and created in bulk for all of overhauled 40s - 46s, this can be excused. This would also be the last curtain to contain the diamond N route option as subsequent sign curtains would be created following the N / R terminal switch in May 1987, eliminating the rush-hour N short-turns at Whitehall St, which were labelled as such on maps and trains. Does anyone remember GMC RTS-03's in NYC? Well, 6 years later and I finally found one. Taken in 1985. Damn it. I knew I forgot something. Thread locked on account of nonsense. Car assignments are a function of car capability, maintenance simplification, and operational requirements. An example of the former is the need for the to have the widest possible doors to reduce dwell; of the middle, the preference to consolidate fleets at common shops; of the latter, the need to switch signs at Flatbush. That's how A div assignments are made. The need 142(A)s, which means the need 142(A)s. The needs 188s. That leaves the 62(A)s for the . Done. Preparing for the cuts in MTA Bus express service. No 530, 630 or 7 PM QM1 buses today (2/7). Why can't the run service on this route?